Smithfield Baptist Church / About Us / What Is The Gospel? The gospel is "the good news" for you and me! The gospel is the message that God will give us pardon from our sins and eternal life with Him in heaven, if we will turn away from our sins and turn to Him, accepting His Son, Jesus Christ, as our Savior and Lord. "For God so loved the world that He gave His only begotten Son, that whoever believes in Him should not perish but have everlasting life" (John 3:16). This simple message is for all the world. We all stand as sinners before a holy God (Romans 5:6–8). There is no way to satisfy the righteous demands of God, so He sent His Son (John 14:6). 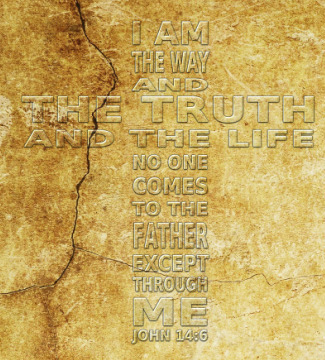 Jesus Christ, the Son of God, is the one true way (1 Timothy 2:5). His death, burial and ressurection paid our ransom, and is essential to our salvation (1 Corinthians 15:3–4). In summation, The gospel is the message that we are all separated from God because of our sin. The result of this sin is an emptiness, an ever-present guilt, and a certain fear of death. Yet, because God loved us, in spite of our rebellion, He sent His own Son to die in our place and to bridge the gap between Him and ourselves.